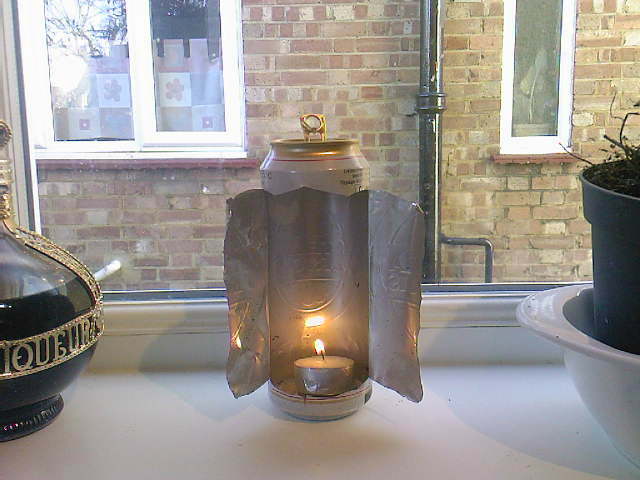 A while ago I showed you how to make a nifty lantern out of the kind of junk that modern life has covered the surface of the planet with. Well it seems I'm not the only Womble in town. I've been conversing with a recent commenter on this blog, our new pal Ranger Squirrel. He's an industrious blogger and outdoorsman who has made this cool video showing how by taking your rubbish home with you, you'll have materials at hand. Here he is using that easily harvested staple of parks, trails and beaches worldwide, the beer can. "Underground, Overground, Wombling Free, the Wombles of Wimbledon Common are we. Making good use of the things that we find, things that the everyday folks leave behind...."
Because modern life is, after all RUBBISH!